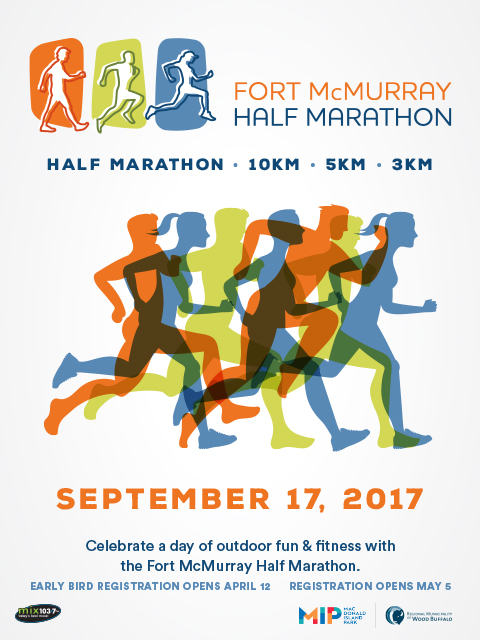 The Fort McMurray Half Marathon takes place on Sunday, September 17 and includes a Half Marathon, 10km, 5km and 3km road races and a Kids Fun Run. Participants can sign up to complete distances of varying length up to 21K, with opportunities for runners of all ages to get active, meet new people and have fun! Kids Fun Run presented by Inter Pipeline 11:30 am FREE for kids No Registration Needed! The Kids Fun Run presented by Inter Pipeline is a chance for little runners to lace up and run for fun and fitness - for free!